I have the strongest urge to write this entire feature in caps lock because my love for this week’s YouTuber of the Week is gargantuan. Shane Dawson is an exact representation of my kind of humour. This YouTuber is the closest to my heart because when I saw one of his videos for the first time, I hated it.I don’t even remember what the video was about, but I do remember feeling offended, disgusted and slightly irritated. In fact, I went on for a long time thinking he was part of Smosh, which alienated me from him even more. Needless to say, I’m not a fan of Smosh. So for a long time I avoided any suggestions by YouTube to watch his videos, until one day I stumbled upon a video of him collaborating with Tyler Oakley (another fave!). That’s when it clicked. I suddenly understood his humour, I understood his YouTube personality and I liked what I understood. It was just magic. The easy-going nature between the two also helped. Tyler seemed to get Shane’s eccentricity and vice versa. Shane Dawson is a revelation. Immediately I subscribed to his main channel, simply called Shane. It contains his vlogs, his collaborations, gaming videos song reviews, Ask Shane and more. His other two channels are ShaneDawsonTV and ShaneDawsonTV2. 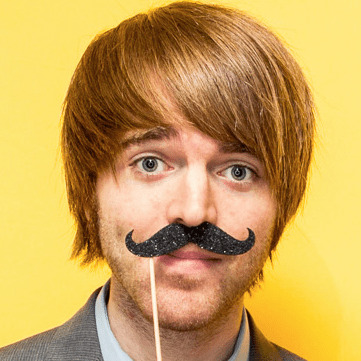 ShaneDawsonTV comprises of more daily vlogs, music video parodies, his mini web series called The Shananay Show, and even original music videos. His third channel, ShaneDawsonTV2 is mostly his Ask Shane series as well as some vlogs. He is incredibly talented and thus does many different types of videos including sketches, skits, podcasts, reviews, daily vlogs. What I love most about Shane’s videos is that they’re never low-key. Everything he does and says is in your face. He is not afraid to shock you. He is not restricted by political correctness, in fact he almost seems to be against it. I encourage you to check his videos out because you will be amazed. Don’t worry if you’re taken aback at first, trust me I was not a fan at first, because he will grow on you until he is a part of your daily dose of YouTube and you won’t be able to fathom how you used to live without his videos.